A 'Stop The Bleed' workshop in Philadelphia. St. Alphonsus' Dr. Bill Morgan, medical director of trauma services and Jana Perry RN, trauma and emergency director, discuss the 'Stop The Bleed' campaign with Idaho Matters on Friday, September 28, 2018. What happens if you're camping or skiing and there's an accident? 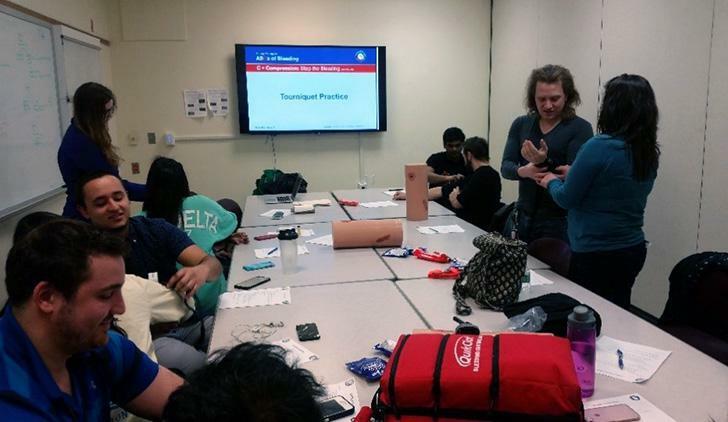 It can take time to get help and "Stop the Bleed" is designed to teach you how to use a tourniquet and keep the victim alive until professionals arrive.